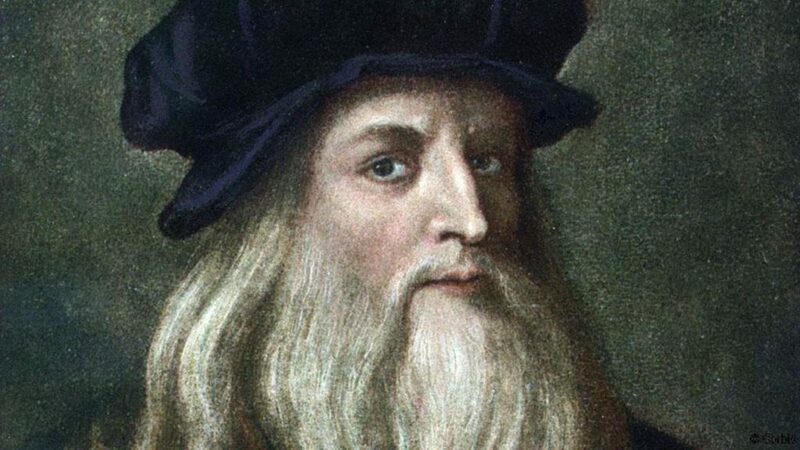 How many more inventions than Leonardo da Vinci would you have? You probably wouldn’t even come close to what he achieved. Look at Henry Ford. His IQ probably wasn’t even comparable to da Vinci’s. However, he revolutionized the automotive industry and changed the face of America. He made travelling common with cheap cars. Leonardo da Vinci also designed a car. Springs enabled it to move. Maybe it looked a bit different than those we have today, but it did run and could turn. Producing it wasn’t possible for the next couple of centuries due to the lack of technical tools needed to build a complicated gearing. Only in 2005 the team from the museum of history and science decided to build it. 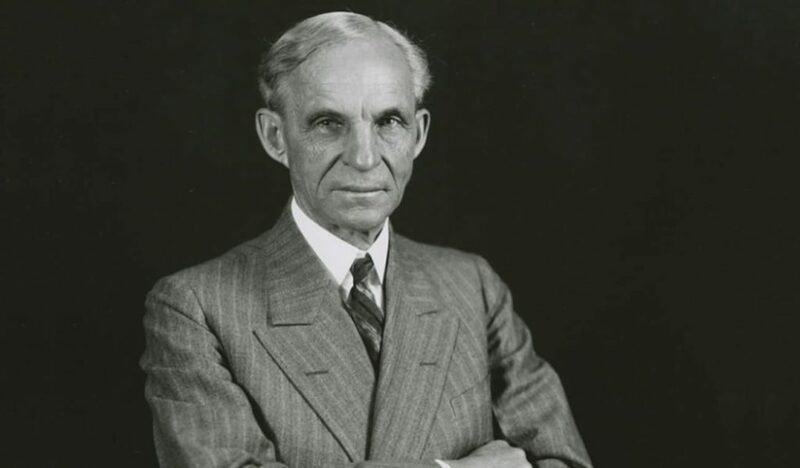 If Henry Ford was born in Leonardo da Vinci’s times, he probably wouldn’t do anything. But in his era, he had access to knowledge and technologies that weren’t available before. Due to the processes introduced by him, such as belt-system production or triple shift system, producing a high number of cars became possible. So he reached a great deal of people, changed their lives, and they made him rich by paying for his products. Talent and intelligence are very important in business but a less intelligent person can achieve a lot if he has access to proper resources. Gathered knowledge is worth much more than any cuteness level. Let’s go further. Where does this knowledge come from? Thanks to people such as Newton, who changed the worldview, the way of viewing the world, or in other worlds – the context. If you have an appropriate scientific or mathematical context, then you have much bigger possibilities than the most intelligent people in history. Alan Cay, an American computer scientist and the ACM A.M. Turing Award winner, who inspired me to write this entry, claims that the proper context is worth 80 IQ points. Your surrounding is also a context. Silicon Valley is a place where entrepreneurship is a norm. Pioneers achieving success are a natural motivation for other, similar people. When Elon Musk was born in the RSA, it was a country full of violence in the nineties. He was very intelligent, but he lacked empathy and he practically had no friends. The others even victimized and beat him. He doesn’t want to talk about his father, only mentioning his childhood being an ordeal. Wanting to get out of that place, he went to Canada at the age of 17. In order to earn a living, he was cultivating vegetables, cutting trunks, and then cleaning a boiler room at the sawmill. When he went to the USA, he started realizing his dreams about capitalism. His first startup (Zip2) was created to help companies advertise online. Nobody else believed in their project then – it was hard to convince hair dressing saloons or restaurants that it had sense. But they didn’t stop and after much effort, including changing the business model and going through a couple of crises – success came. In 1999, Compaq Computer bought the company for 307 million dollars. Later, he created X.com, and then he co-founded PayPal. 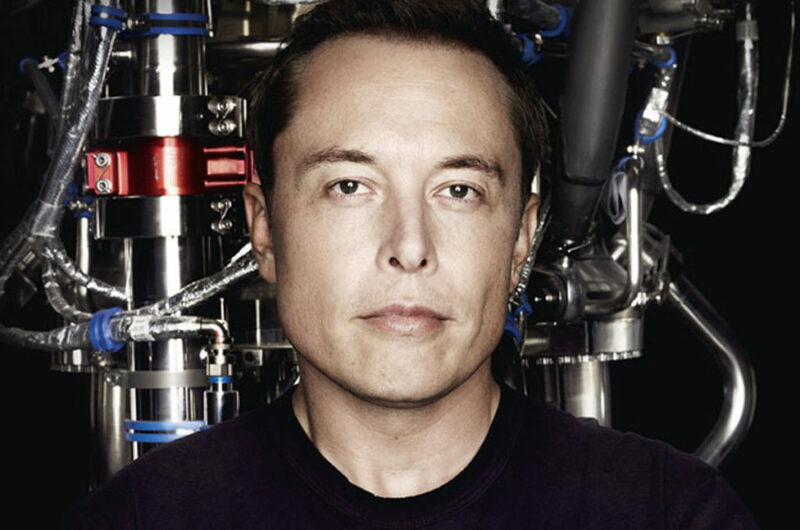 Today, he is known for being a holder of shares of SpaceX, Tesla, or SolarCity, which change the automotive, space and energy industries. He probably wouldn’t make it if he stayed in the RSA. Today’s use of computers seems obvious, but it wasn’t in the past. Imagine a building-sized supercomputer in 1963. Ivan Sutherland showed a revolutionary user interface at Lincoln Labs on such a computer. He didn’t have a screen – the image was shown on… an oscilloscope. Next to drawing with a pointer, they could also make the computer set collaterally drawn lines, copy created images, manipulate them (e.g. enlarge). The first Paint (don’t understate this achievement – the very first CAD!) was created over 50 years ago! Xerox PARC was founded in 1970 and was a research center of Xerox, where lots of innovations, which made a huge impact on further IT development, were created. Lots of effort was also put into work over user interface (GUI). 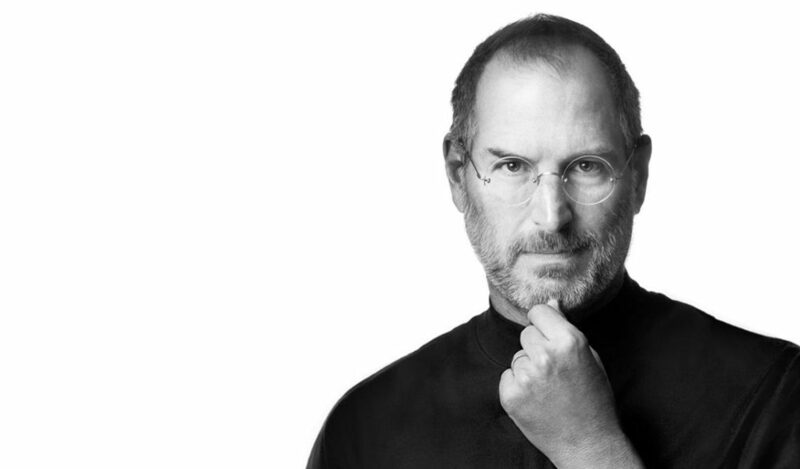 When Steve Jobs visited this center and saw the work over GUI, he immediately knew that all the computers in the world would work that way. He was building upon knowledge gathered by the others. It doesn’t diminish his skills though. He noticed a huge potential in what was developed there and was able to commercialize it. But the most important value lies in the ability to notice a future potential in these tools. It’s all about the moment: “Wow, it’s great, people will be using it in the future, it will make a good business”. Sometimes they’re things that don’t appear too innovative. “We wanted flying cars instead we got 140 characters” – said an investor Peter Thiel disappointed by the level of innovation in Silicon Valley (of course he was referring to Twitter). There are also some bolder ideas, such as Elon Musk’s SpaceX. In this case, the key is creating modern rockets (after unsuccessful negotiations with the Russians, Elon Musk decided to build them on their own), so it’s a hard, technical work. But startups which revolutionize some industry not by innovative devices but primarily by innovative business models are also interesting. An example can be Lemonade startup. The insurance industry hasn’t really changed for over 100 years. And insurers coped quite good, often using some dirty tricks in order to earn more. Their earning appears when they don’t pay you your insurance. They try to keep what you gave them. Brokers additionally rise the insurance costs. 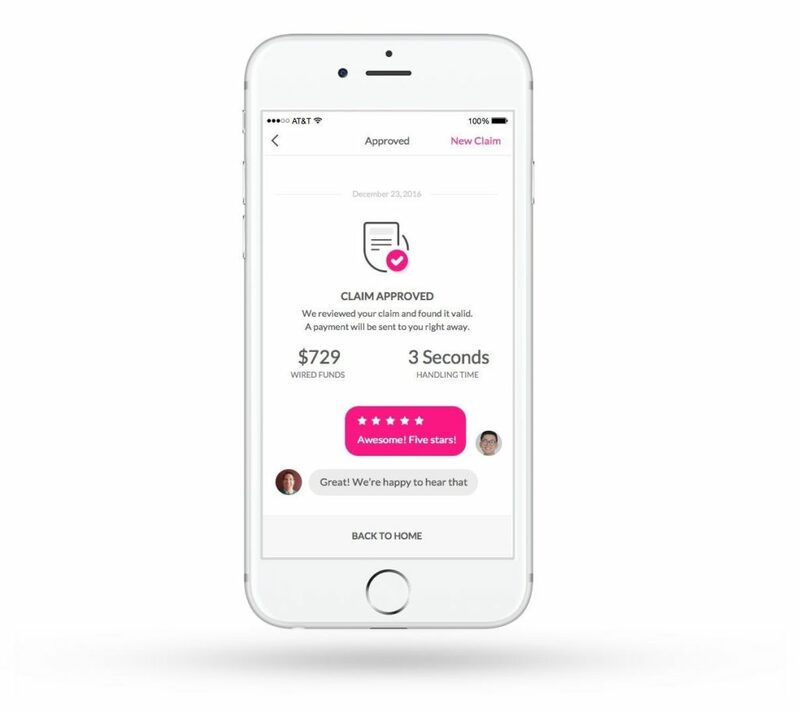 Lemonade had an idea of using AI (which was getting more and more popular) for selling and paying insurance. You will complete it all within a few minutes with your phone. Without a broker. In 90 seconds you describe what you want to insure, sign it (also via phone), pay for it and you have an insurance. If something happens, you just record a video, give some details, and after a few minutes (if the algorithm considers you honest) you have your money on your bank account. Lemonade charges a fixed 20% commission. The rest stays for your possible compensation. They don’t earn money if they don’t pay you. They give the surplus for charity. If you try to tap for money, you will de facto rob some orphanage. This idea is not banal. It has to make financial sense. And somebody calculated that it does. He encouraged investors to give 13 million dollars for its realization. The algorithm, which analyzes reports, is crucial here. It comes out that it’s possible to think of something innovative in the insurance industry. Why did nobody think about that before? We gather knowledge at school. We fulfil our duties at work. But we rarely practice blue-sky thinking. Of course the idea itself is not everything, but then you have to realize it. Today’s tools and knowledge allow it. Startups exist because people got tools due to which they can realize their bold ideas. They got the chance to compete with companies which have been existing for decades. I regularly use an internet cantor instead of traditional outposts or banks. Maybe I will soon buy an insurance from a weirdly named startup. Being a genius helps a lot but you don’t necessarily have to be another Leonardo da Vinci to create a startup.